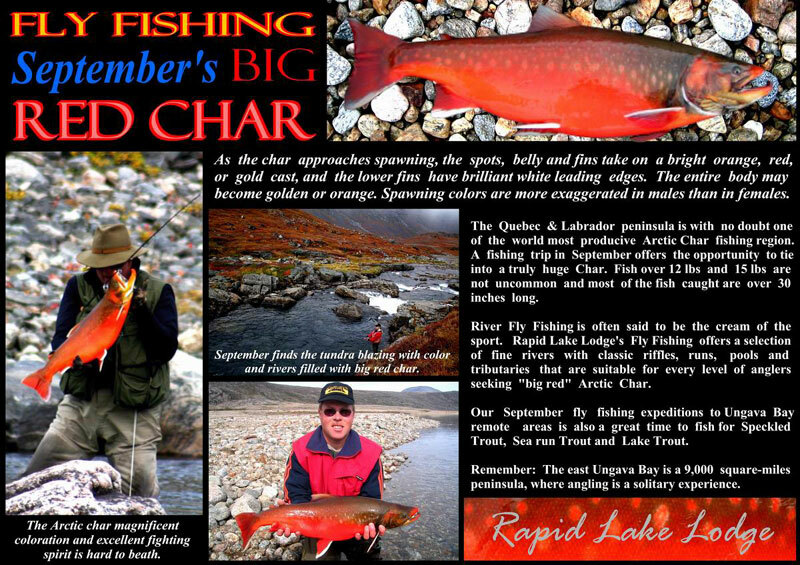 Our goal at Rapid Lake Lodge‘s is to provide each guest with a quality Arctic Quebec fishing experience each day. We fish by wading, drifting or casting. You can fly fish or use conventional gear. There are streams that are fly fishing only areas and there are rivers that allow either fly fishing or conventional gear. 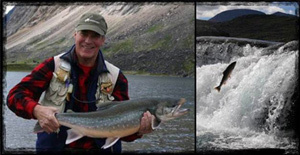 The type of fishing you do while at our lodge is your choice. Your pilot-guide is there to help you and to inform you about the rivers we fish. 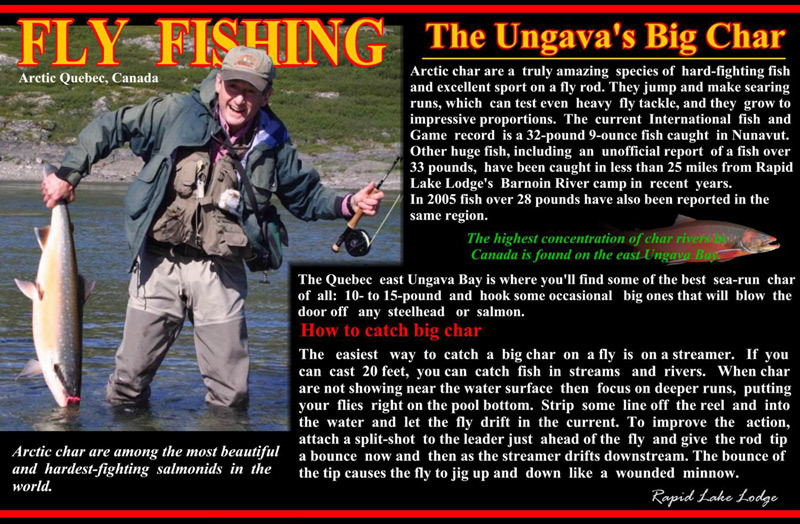 The location of our main lodge, on the Tunulic / Qurlutuq River provide great fishing opportunities where the lodges are located and are within reasonable flying distance to the finest rivers on the east coast of Ungava. In Arctic Quebec there is no other places like Rapid Lake Lodge that has a program that is structured to fly-out everyday. Our competitors are limited to fish where their lodge is located. It is very important to choose a lodge that is able to provide trophy fishing opportunities to the finest waters everyday of the season. At Rapid Lake Lodge, we have the best of both worlds. 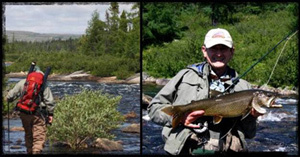 We have excellent fishing weeks on our “Home” rivers and we are very close to many “Fly-out rivers.” Throughout the East Ungava Bay area there are tremendous fishing opportunities and we want our guests to have the chance to see and experience the flavour of this great area. From 6:30 through 7:30 AM breakfast. You can eat at anytime between 6:30 and 7:30 AM. You will fish until about 11:45 AM and then break for lunch. Depending upon the location of where you are fishing at determines if you will come back into the main lodge for lunch or if your guide will prepare a shore lunch for you. You always have the flexibility to return to the lodge should weather become an issue. You will then fish the river until approximately 4:30 PM. Cocktails and appetizers are in the main lodge at 5:00 PM and dinner is at 6:00 PM each night. The first thing to keep in mind about any fly out fishing trips is that the weather controls all our flu out excursions. We are located in a remote part of the world and we are flying in a rugged wilderness region where weather conditions change rapidly and sometimes unexpectedly. We schedule the fly outs early in the morning. If you are scheduled to be on a fly out, we want you to have breakfast right at 6:30 AM so you have time to prepare for the excursion. You will depart the lodge after breakfast and spend the day on a remote river. Your guide will either prepare a shore lunch or have sandwiches for you. You will return to the lodge between 4:30 and 5:30 PM. 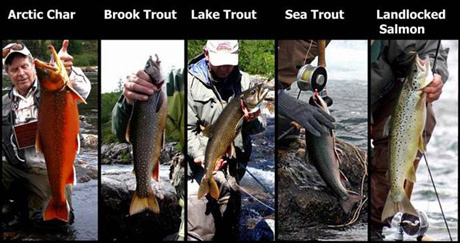 Depending on the week, we target five ( 5 ) species of fish, Arctic Char, Brook Trout, Lake Trout, Sea Trout, Landlocked Salmon and most any combination thereof.